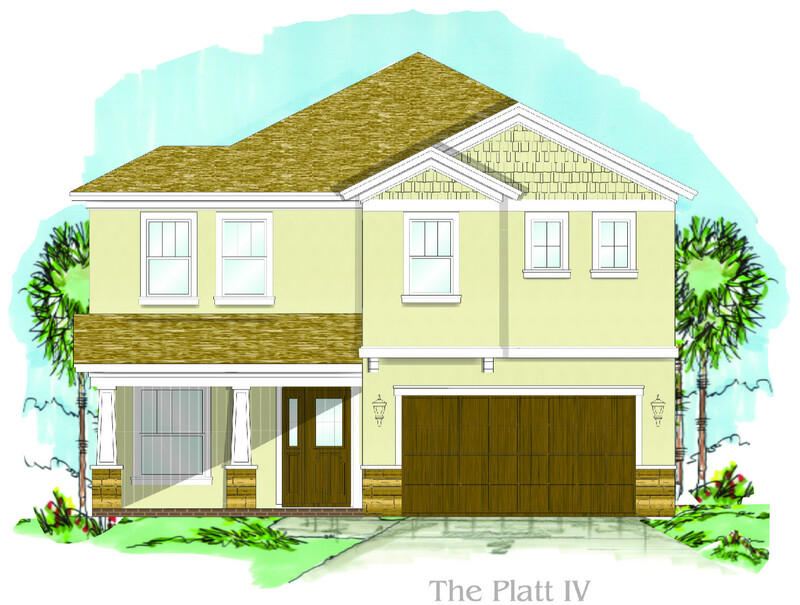 UNDER CONSTRUCTION, Shimberg Homes presents this 5 Bedroom, 4.5 Bath, 2 Car Garage. Two Story Home (The Platt IV) has 3640 living sq ft. Loaded with upgrades Galore, this home features a stunning architectural design with 8' tall entry door, 10' Volume ceilings throughout. The home boasts a dinning room (11x15) off of the kitchen. 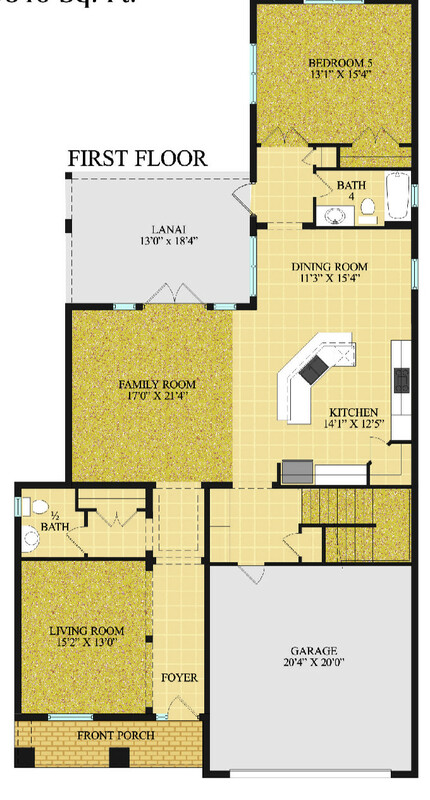 Separate living room (15x13), extra large family room (17x21) great for Entertaining. 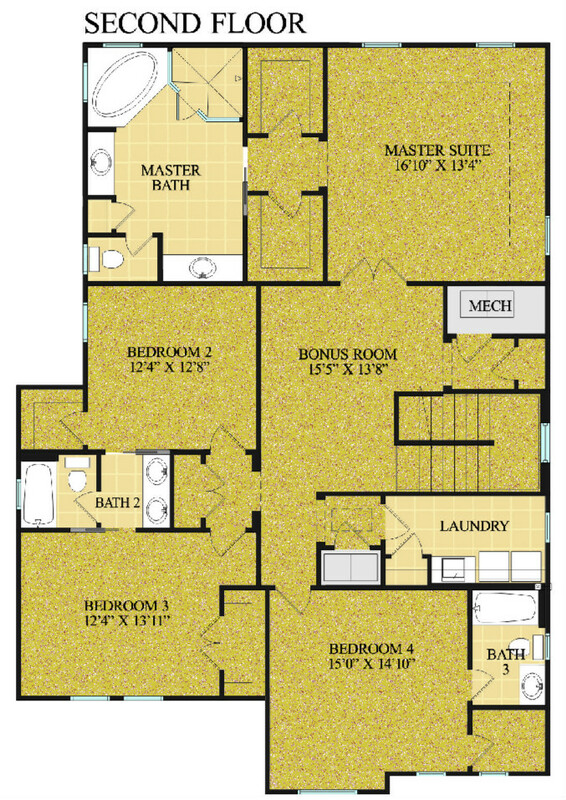 The much desired 1st FLOOR BEDROOM(13x15) and full bath are located off the lanai. The second floor includes the luxurious master suite with separate garden tub and shower as well as his/her vanity sink and 2 XL walk in closets. There are 3 additional spacious bedrooms upstairs, a jack and jill bath, as well as additional full bath inside bedroom 4 with a walk in closet. A conveniently located inside laundry room. A Giant Bonus room (16x14) completes your 2nd floor living space. The Gourmet Kitchen features 42" snow Maple upper cabinets, stainless steel appliances, double ovens and Granite counter tops. A huge covered lanai (13x18) with French Doors, mud room and 1/2 bath compliment the first floor. 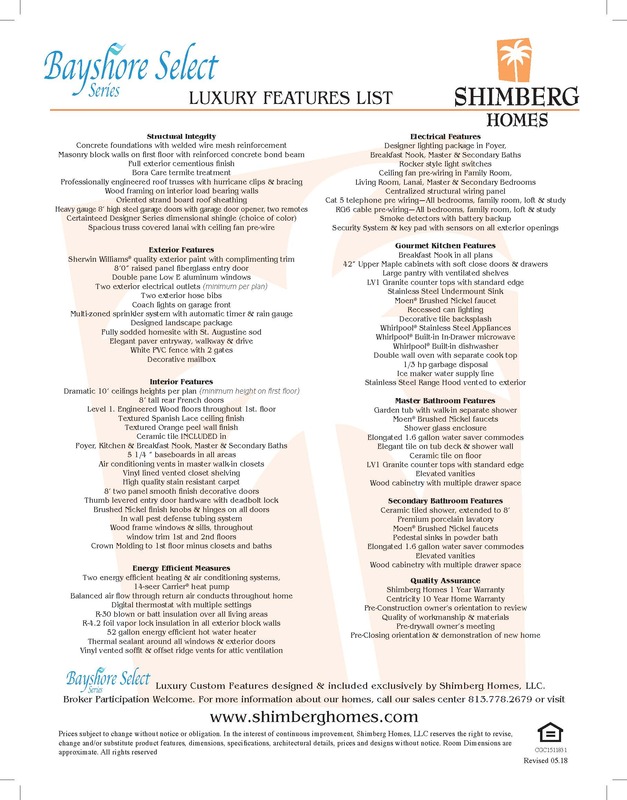 With Shimberg Homes Bayshore Series Select Luxury feature List and over 45 years of Shimberg Homes Family Tradition of building affordable, quality, attention to detail luxury homes, you will not be disappointed! 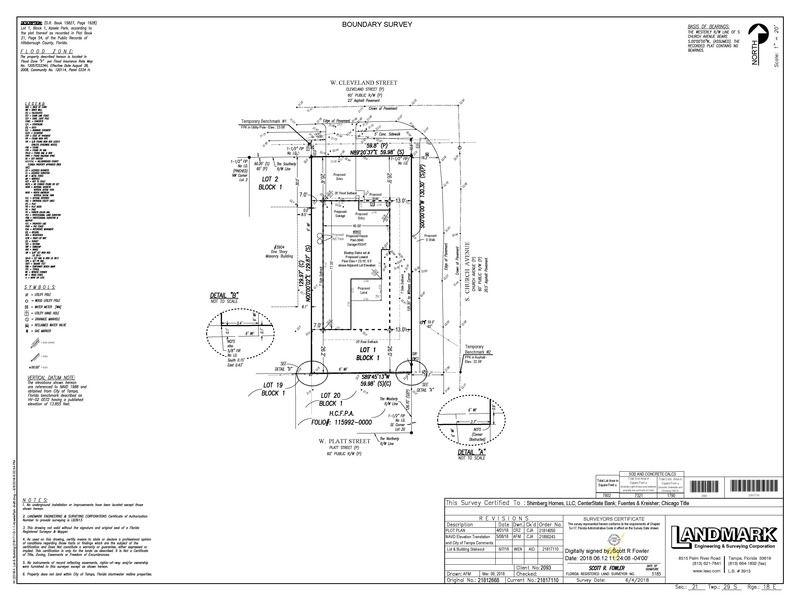 1st Floor Engineered Wood Floors, Vinyl fencing, Brick paver driveway, all included in the base price. All color selections and upgrades available. Move in Ready JANUARY 2019. Please call, text or email Troy Glaves, Director of New Home Sales, for specific details at (813) 778-2679 or trg@shimberghomes.com Available 7 days a week.